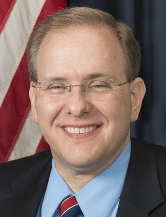 ACTE spoke with Representative Jim Langevin (D-RI) as part of our Policymaker Perspectives discussion series to explore how federal policymakers are working to strengthen the CTE ecosystem. Editor’s Note: Policymaker Perspectives is a new discussion series between ACTE and federal policymakers. It is intended to allow CTE professionals to hear directly from policymakers about their priorities and the work taking place in Washington to strengthen the CTE ecosystem. Jim Langevin represents Rhode Island’s Second Congressional District and was first elected to the U.S. House of Representatives in 2000. Previously, Rep. Langevin served as Rhode Island’s secretary of state and as a member of the state house. He currently serves on the House Armed Services and Homeland Security Committees.